It's been a while since the last time I roasted some makeup brands and their upcoming or recently released products. If you don't know what an antihaul is, you are welcome to read my first and second posts to get into the idea! I believe the original creator of an antihaul is anti-capitalistic YouTuber Kimberly Clark, who always inspires me to think before I buy. As she would say, I don't need it and I'm not gonna buy it! As always, if you want one of these products you absolutely do not need to listen to me. I'm giving my honest opinions on these products based on what I've heard, seen, and what suits myself personally. Even before the mixed reviews and controversy came out about this palette, I wasn't interested in it. Anastasia is one of my favorite brands (their formula even topped my Favorite Eyeshadow Formulas post!) but it doesn't matter how amazing a product is if it's not something that I would use. The colors don't attract me whatsoever and I don't know any looks I would want to create with this palette. Well, first of all, Benefit isn't cruelty-free so I wouldn't have bought this anyway, but this seems like a very strange take on a collab and I'm not down for it. 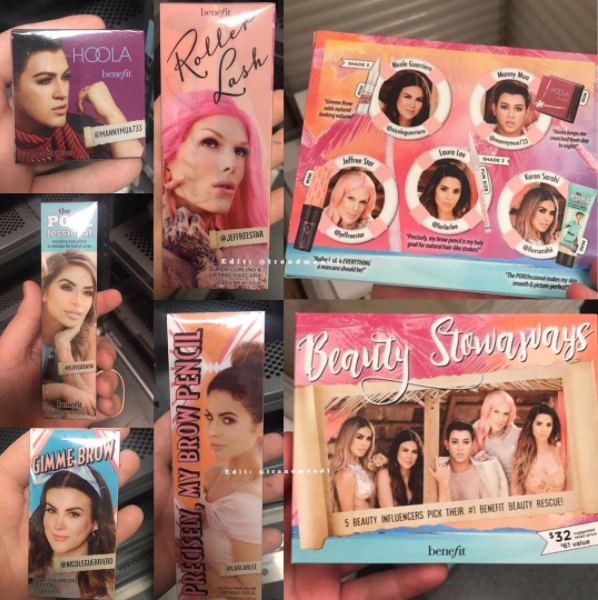 Essentially Benefit asked a bunch of popular influencers to pick out their favorite Benefit product, their photo was slapped on top of a sample of it, and now it's all being sold as a kit. The influencers obviously had no input in the development of this collab, considering these products have been out for years, and it seems like a money grab on Benefit's part. 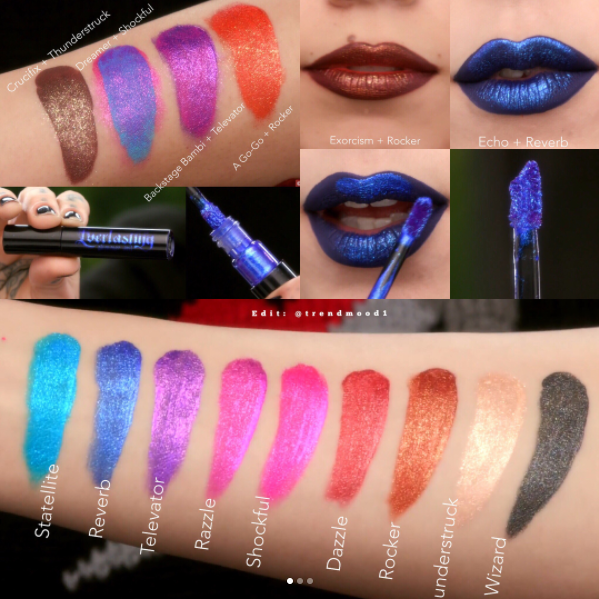 I am actually pretty interested in metallic lipsticks in general, but not if they're in liquid lipstick form. I'm pretty much done with liquid lipsticks and how drying they are. I have one of the standard ones from Kat von D and while I love the shade, the formula is still too drying for me. These colors are also a bit bold for my tastes. Some people might love them but I'm passing on this collection! 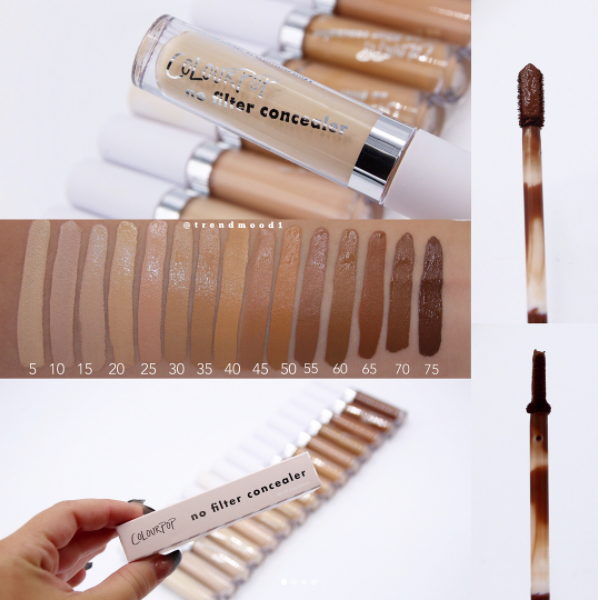 I'm so glad Colourpop is expanding their product range, but based on reviews these concealers have a matte finish which I don't like for my undereye area or my dry skin. Again, depending on your needs this could be a big hit for you. Sephora Collection, like Benefit, isn't cruelty free so this also wouldn't be on my wishlist even if I liked it, but I don't. The teddy bear design is cute but if you own a large collection how the hell do you plan to store this? I have enough difficulty with all of my flat palettes! The colors are also a bit too unusual for my needs. I like the warm tones but all of the blues are not for me. This looks exactly like the Elf contour palette I already own, only $50 more and sold by a celebrity who annoys me. She also apparently 'doesn't know how to swatch' yet thinks she knows enough about makeup to start an entire line? Hard pass. Hourglass comes out with a powder palette every year around the holiday season and they are always popular products. I wish I could get my hands on some of their past palettes, which include products I've really wanted to try, but their upcoming holiday palette doesn't give enough variety for me to justify spending the money on it. My highlighter drawer is already full and there are only so many shades that I want in my collection anyway. The packaging is beautiful but I have to say no this year! You are welcome to try and change my mind about some of these products, or simply tell me why you might be interested/uninterested in these new releases! Is there anything you don't want to buy? 19 comments on "Antihaul #3: Hourglass, Benefit, & More! " That Moschino palette has very bulky packaging! Whilst the teddy bear design is cute; I don't even think it would fit in my makeup drawer! Awesome post! 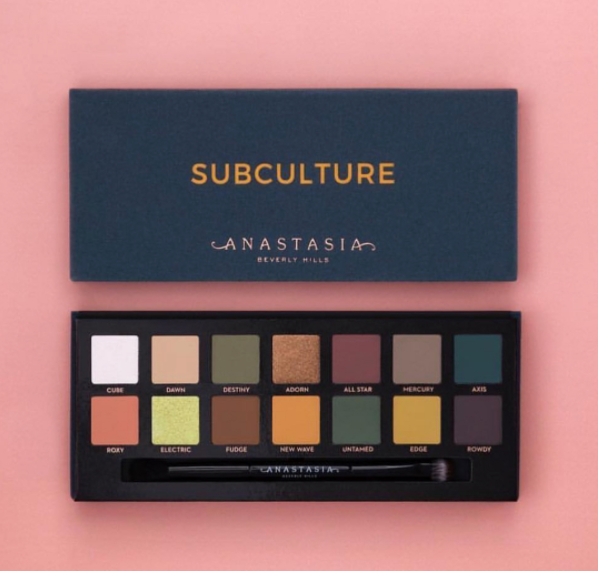 The Subculture palette is gorgeous, I don't have anything like that in my collection, but with all the bad things people have been saying about it I'm going to pass. The Benefit collab with the influencers and the new KKW product are a pass too, because I don't like any of these people (besides Nicole Guerriero)! I agree with basically everything said here- especially the Benefit collab and KKW kits, definitely overpriced for what they are! It's such a shame these didn't work for you, especially for the price tag of some of them! Sorry I should have explained what an antihaul was a bit better! I didn't buy these products, they are ones that I don't intend to buy :) Basically the opposite of a haul or a wishlist. That Benefit collab is the stupidest thing I've ever seen. And I don't care for the colors from the Subculture palette so I'm glad I didn't get it. 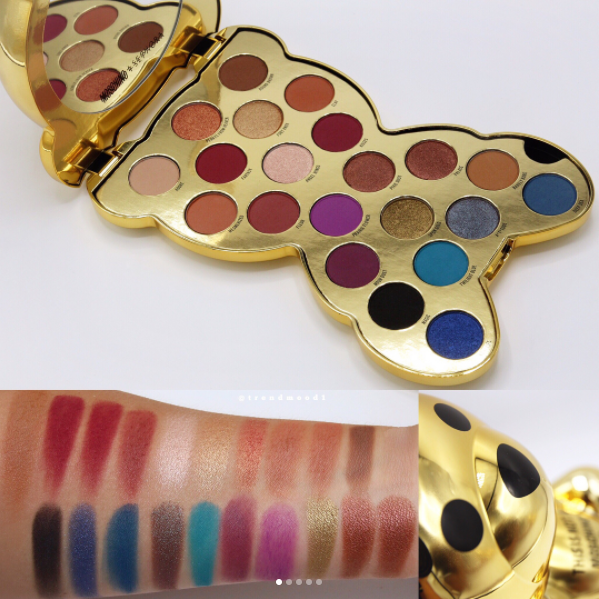 I actually love the Sephora x Mochino collection, I just didn't care for the palette. I ordered the bear compact mirror and this lip gloss set that came with a gold bear necklace. I want to get the bear perfume too but it's $89! There was a big uproar about it because Sephora announced that it would be released on the 11th, but then when the 11th came they were like "oh, we're so sorry, we're pushing back to the 18th"
I'm so bad at keeping up with latest launches, which being a beauty blogger is 100 times more horrible, I haven't heard of a bunch of these. The new ABH palette I'm still on the fence with. I just don't know yet! Do you need to go to a prom? And you want to buy a beautiful prom dress but only to find all of these in the shops are too expensive. So come to have a look there sweet 16 dresses two piece You will not be disappointed.